10 Customer Service Skills to Master - Caspian Services, Inc. Whether you are a solopreneur or you own a multi-million dollar company, customer service is the most important part of any business! This should really be one of your top priorities! Customer service builds trust and brand awareness, attracts new customers and reduces problems. According to Forbes: 86% of buyers will pay more for a better customer experience; 70% of buying experiences are based on how customers feel they are treated; 70% of customers will do business again with a company that resolves their complaints; by 2020 customer experience will overtake price & product as a key brand differentiator. Customer service is the most important part of any business! So, how can we make sure we are doing all we can to offer the best customer service possible? 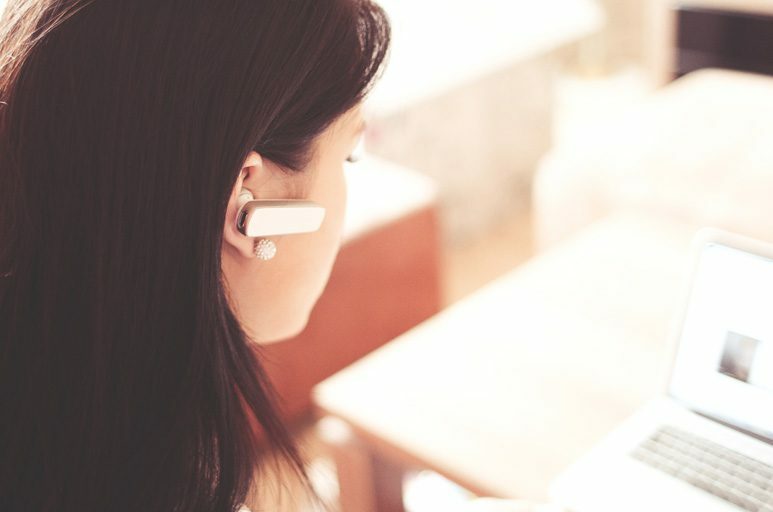 Well, we have put together a list of 10 customer service skills you (and your staff) can focus on and master. Communicate clearly and actively listen: The key to effective communication is to listen carefully to your customer. Be attentive to all of the details the customer is sharing with you in order to avoid misunderstandings and to target any problems or issues. Be clear and respectful (use etiquette) in your responses and make sure you create a positive image of your company. Use positive words: Avoid using negative words and phrases. Positive language not only helps in resolving any conflict, but it also creates a better impression of your company and service. Pay attention to body language: A picture is worth 1,000 words, so is your body language! A customer can definitely notice if you don’t really feel like assisting them. Smile and be friendly and cheerful (even when you are having a bad day). Make sure the customer feels that they can approach you and receive top-notch service. This includes phone conversations! A smile can be “heard” over the phone. Be confident: Confidence (without arrogance) can take anyone, anywhere. It creates professionalism and trust while you are communicating with the customer. Even if you have a new employee who may not have all the answers – a confident response like “that is a great question, let me check on that for you” can create positive interaction. Be patient: Most of the time a customer’s problem may be very basic, however they may have a hard time understanding a response or company process. Have patience and do your best to empathize with their situation. Try your best to explain to the customer what they may not understand (without sounding condescending). Be flexible and creative: Try your best to find different solutions for your customers. Sometimes if we think flexibly we find new ways to communicate with the customer and personalize a relationship with them. Maybe there is a resolution or option that comes to mind that is possible, even if you had not done it in the past for other customers. Go the extra mile when possible. Finding a creative approach, especially when dealing with difficult customers or issues at hand can become a huge win for you and your company. You will end up with a satisfied and loyal customer! Remember, not all issues or conflicts can be resolved in the same fashion. Some require thinking outside the box. Develop teamwork: Make sure your employees work as a team, and it shows! This creates a supportive and positive environment. It also increases productivity within your staff and cuts the amount of time staff spends on resolving issues. When everyone works together, to achieve the same goals, business runs smoothly and customers know they can count on anyone at your business to help them! Asking questions: You probably have noticed that almost every Trader Joe’s employee will start a random conversation with you at the checkout line, right? No, they aren’t being nosey. They are developing a relationship with you and making you feel welcomed. Ask questions and get to know your customers. Do your best to remember them or things about them (especially if they frequent your business). We guarantee they will always come back when they need your product or service again (and they will recommend you often). Motivation: Find a way to motivate your employees. Whether it’s a contest, prize, bonus, recognition, etc. Doing so ensures that everyone seek to do their jobs more efficiently and improve their performance. Employees will invest more time and better effort when they feel motivated to do so. Working on and mastering these customer service tips, can really help any company step up their game. It is important to make sure employees are properly trained as well. Let them know as well about any additional steps they are allowed to take to resolve an issue, before having to ask management or turn away a customer (which nobody wants to do). Do YOU have a customer service tip that is not listed and works amazingly well for you? We would love to hear your thoughts by commenting below.